A cheaper alternative to the popular Maxi Climber, the Conquer Vertical Climber Fitness Climbing Machine offers a low-impact but high-intensity total body aerobic workout to help you burn calories and tone your body. Similar to the action of rock climbing, the Conquer Vertical Climber uses your body weight as resistance and combines cardio exercise with muscle toning, working your arms, legs and abs. 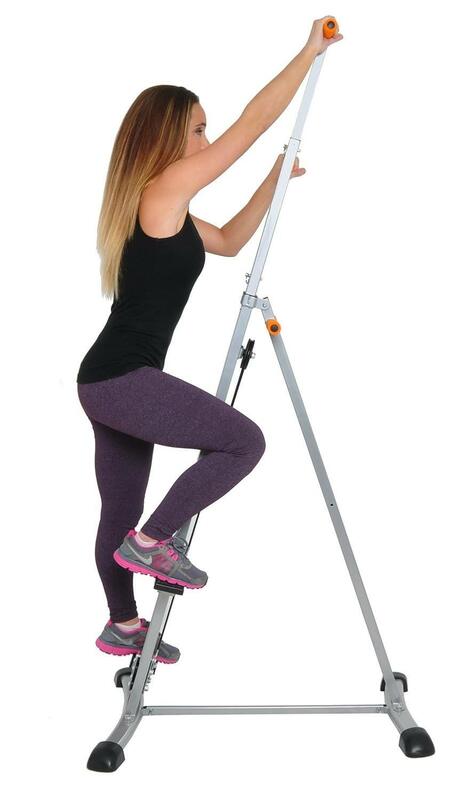 The Conquer Vertical Climber is solidly designed for a safe and stable workout. It’s constructed with durable steel and incorporates 4 rubber non-slip pads for stability which also act to protect your floor. 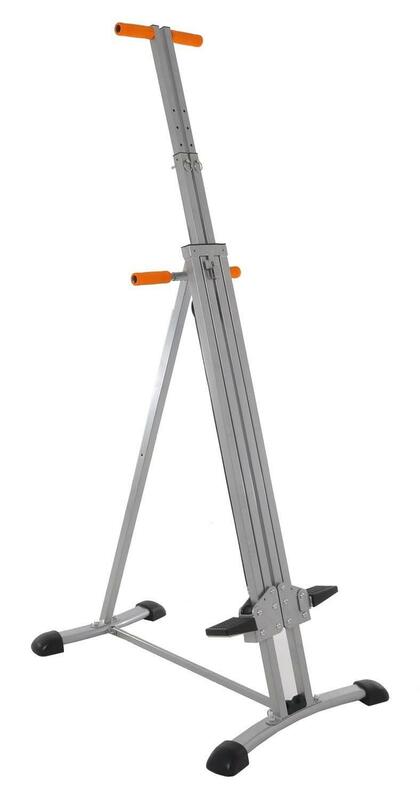 The Conquer Vertical Climber features dual handlebars – use the static handlebars if you just want to work your legs or use the climbing arms to work your arms and legs together. The climbing arms are adjustable to accommodate different user heights. The ergonomically designed handles ensure a comfortable grip. The folding design of the Conquer Vertical Climber is ideal for people who haven’t got a lot of space for gym equipment. Open, the Conquer Vertical Climber’s footprint measures 37” across, and closed it measures just 20”. It’s easy to fold and store away when not in use. Useful tip: Working out on a Vertical Climber for just 30 minutes could burn around 250 calories. · User weight capacity: up to 275 lbs.